George was born at Hanover to Ernst August of Brunswick-Lüneburg and Sophia, the granddaughter of James VI. 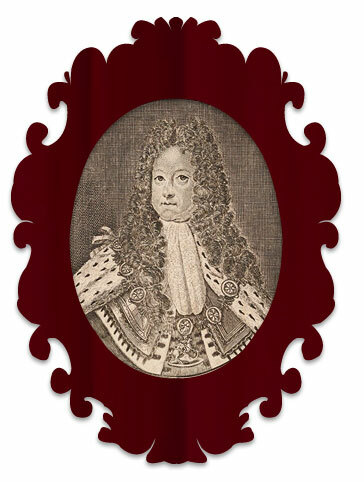 He married Sophia Dorothea in 1682 and their first child, the future George II was born in 1683. George’s military career kept him away from Hanover for long periods of time and the marriage was not a happy one, ending in divorce and the virtual imprisonment of Sophia Dorothea. With the death of Anne’s son in 1700 interest in the Hanoverian succession grew. The next monarch had to be Protestant and a Stuart and despite there being over fifty claimants with a closer hereditary claim, it was George’s mother Sophia who was the first Protestant in line. So began a period in which Sophia was drawn into British party politics to the annoyance of both Queen Anne and George who tried to keep his family out of Britain until Anne’s death. These party rivalries influenced who was invited to form the first Hanoverian government, with some of those left out drawn to the Jacobite cause. Sophia died less than two months before Queen Anne and so it was her son George who inaugurated the Hanoverian dynasty with his coronation on 20 October 1714.